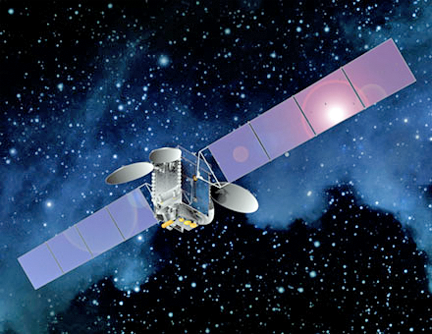 Spacecom (Tel Aviv Stock Exchange: SCC) has entered into an agreement with AsiaSat to relocate their AsiaSat-8 satellite from its current orbital position to Spacecom’s 4 degrees west orbital position. AsiaSat-8 will be co-located with Spacecom's AMOS-3 for a four year period. AsiaSat 8 will complement AMOS-3 in offering a full range of communication services. The satellite, expected to begin service for Spacecom in Q1 2017, will replace AMOS-2. Spacecom has an option to extend the agreement for an additional year of service. Artistic rendition of the AsiaSat-8 satellite. Upon receipt of the required regulatory approvals, AsiaSat will relocate its satellite to the 4 degrees west orbital position where it is expected to arrive within 45 days. Following testing, AsiaSat 8’s beams will cover the Middle East, Central Eastern Europe and Africa, enabling Spacecom to provide additional capacity and services to its customers. David Pollack, CEO and president of Spacecom, said, "AsiaSat 8 satellite enables us to continue serving our customers at 4°W orbital location following the expected end of life of AMOS-2 and provide them with additional capacity and services."